Kovcanje military sport center - martial arts dedicated on an island of Mali Losinj, Croatia. Croatian Olympic Committee (HOO) really operates as a succesful sport regulator. Manuals, first boxe francaise systemized techniques. And now most of the books probably lies in private librarys and american museums. CDC exhibition of Canne de Combat on a savate competition in Marseille on 15th of January 2012. Combat - 70 kg - La Nuit des Champions 2011 in Marseille, France - on 12th of November 2011. The man with a restaurant who also find his spare time to teach savate. Corrado Arecco is Marco Costaguta's athlete. Stage on 29th of may 2010 - Roger POZZY (Chambon Feugerolles) in Lyon. Jerome Huon (french savate federation) stage in Genoa on 21th of January in a gym of Andrea Doria. Do you know that AIBA have university boxing championships also in Colorado Springs, USA? Ali Rezgui, owner and instructor of BFS Boxing & Kickboxing, has taught Boxe Francaise Savate, kickboxing, boxing, Muay Thai and self-defense for over 30 years. Boxing for the French National Team from 1980-84, he boxed in the Championship of France from 1974 to 1986 as well as the Championship of Europe. With a 4th degree Silver Glove in Boxe Francaise Savate and teaching diplomas in Full Contact and Kickboxing, he has taught boxing to banking executives as well as competitive boxers. He also successfully managed and taught in four boxing clubs in Paris, France. 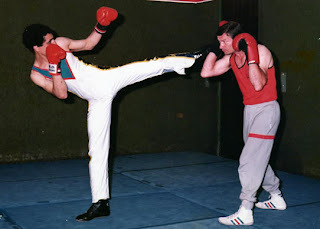 But is Jean-Pierre Julemont still member of Belgium savate federation or maybe French savate federation? 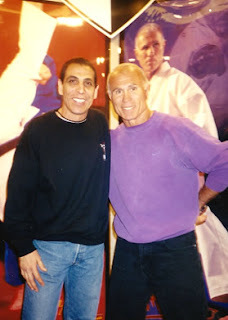 Lindsay Pauvaday 3rd place on a World savate assaut championship 2002, 20th of October. 20th of May 2012 in Genoa - Official FISA - Italian savate assaut championship 2011. Milan - October 2011. Claude Alberton was on camera for a moment. Savate is kickboxing is chauss fight is savate pro it is all the same and all together (some kind of relative theory). French are nationalists and so they give licenses just to ones they like. (Probably Max the Greek don't know nothing about Sportaccord and FISav - International savate federation). And he further speaks about joining Chauss fight aka savate pro organisation. He claims that with this move kickboxing and savate will profit and will be saved because these days people watch only MMA. Oh yes, I forgot. He said that savate lost its popularity because of all american films like kickboxer 1,2,3,4,..n and because of growing K1 popularity. Now I know why Italy is in such deep economical crises. It seems that there is no logic in this country. There is kickboxing which is not FISU sport and we still miss savate. Serena Burgio - Mameli savate Genoa and Alfredo Lallo in a video. It would be good to have more international competitions like this in Milan, Italy. But as we see from italian savate calendar - nothing of it. Our well known hungarian savate team (Victor Lovaszi and Tamasz Varga) on a demonstration in their university boxing gym in Budapest. When they punch or kick they stop their moving. Because they like barefoot philosophy. And Nicholas tries to change it. South, very south part of Italy. Read FISA incredible italian version of martial art history. They never give up. The 75th Congress of the International Sport Press Association (AIPS) was held from January 12 to January 15 in the capital of the Winter Youth Olympic Games - Innsbruck, Austria. This anniversary Congress was attended by delegates from more than 100 countries of the world. The Congress was opened by Austrian President Mr. Heinz Fischer. The opening ceremony was also attended by VIP guests - the Reigning Prince Albert II of Monaco and HRH Prince Feisal Al Hussein of Jordan. Traditionally, the program of the Congress includes (in addition to the usual meetings) presentations of International Sport Federations and host cities of Olympic Games and Universiades. The forum of sports journalists in Innsbruck was an extraordinary event as the number of presentations reached 16. This year, presentations were delivered by the International Olympic Committee, the future Olympic cities London and Sochi, and the organizers of the European Football Championship 2012. The Kazan Organizing Committee told about the coming Universiade 2013 and about the new project - the creation of international school of sports journalists. Among the Sports Federations whose presentations were included in the program were FIFA, the European Handball Federation, and FIAS. We would like to remind that FIAS and AIPS have been partners since April 2011 when they signed a cooperation agreement after the SAMBO presentation at the 74th Congress of Sport Press in Seoul. In Innsbruck all covered by snow, SAMBO was presented by Mr. Nikolay Dolgopolov, Vice President of AIPS and Chairman of the Press Commission of FIAS. He told about the work accomplished by FIAS last year and about the SAMBO innovations to be implemented in the near future. Special attention was paid to the cooperation between FIAS and the European Broadcasting Union which enabled the broadcasting of World SAMBO Championship in Vilnius in 3 continents (Europe, Asia, and America). The journalists - AIPS members were interested in the modern professional services provided to journalists in Lithuania. FIAS does its best to ensure increased journalist attendance at SAMBO competitions. The journalists were acquainted with FIAS competition calendar for the year 2012. The key events of the year that many journalists would like to visit are the World Championship in Sofia (youth and juniors) and the World Championship in Minsk. Of course, we should also mention the four stages of the World Cup 2012 to be held in Russia, Venezuela and Kazakhstan. Another innovation is that following the results of the four stages FIAS will determine not only the three winners of the World Cup but also the nominees in the following categories: the best athletes (men and women), the best journalist and photograph covering SAMBO competitions. The nominees will be awarded with prize money awards and FIAS souvenirs. The year 2012 has just begun, but we could not avoid talking about 2013. For the first time in history, SAMBO was included in the Universiade program; in Kazan, we will witness the first appearance of FIAS athletes in a global student competition. In October 2013, Russia, the birthplace of SAMBO, will host the 2nd Sport Accord World Combat Games (St. Petersburg) where SAMBO will be represented gathered with other 15 martial arts. In this regard, both the presentation and the further sessions of the Congress paid great attention to the creation of a special AIPS SAMBO Commission. Its main tasks will be to strengthen the cooperation between the sporting journalists and FIAS and to increase the coverage of SAMBO competitions. The interest in the FIAS presentation manifested by the journalists - AIPS members lets us hope that in the nearest SAMBO will be a sport familiar to everyone and popular with the media. At the AIPS Congress closing ceremony, the flag of International Sporting Press Association was handed over to Sochi, the Russian city that will host the next international forum of sporting journalists of the world in April 2013. FE - France Elite probably 2003. Saber Zairi champion of FE from 1996 as the author says. What kind of red glove it is. Strange. Some kind of modified testing system. They come and go, and again they come, and maybe they will go again. It is in italian nature :). and we just have to watch it and be quiet, quiet, quiet and respect WADA regulations. Sportaccord: Did they really choose the worst savate picture? This was tournament in provisional ring in Poland where the floor of the ring is improvised with school gym mats. The worst picture to promote savate of them all. Bad, bad, sportaccord or anyone who send them this picture. 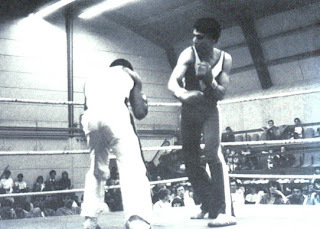 Jose Vicente Eguzquiza vs. french fighter Hattman Miloudi (Bobigny) on a first Paris international tournament. In a well known Sesto San Giovanni there was in 1971 savate trophy called Oldrini. Italo Manusardi and Luigi Gatti with a Hockey protection , showed everything what baton techniques could perform. Look they need just 8x2 meter of fighting area. Is tactics in Asiatic sports just 2 dimensional?